It's 80% of my Kirin cosplay with 213 pink flowers. But in sewing its simply a fabric image attached to another piece of fabric. There are multiple ways to appliqué an image to a surface: with permanent fusible bonding, fabric glue, or a thin straight stitch. This tutorial is specifically for the satin stitch (or the super tight zig zag) variation. This project was a baby blanket for my cousin's newborn girl. 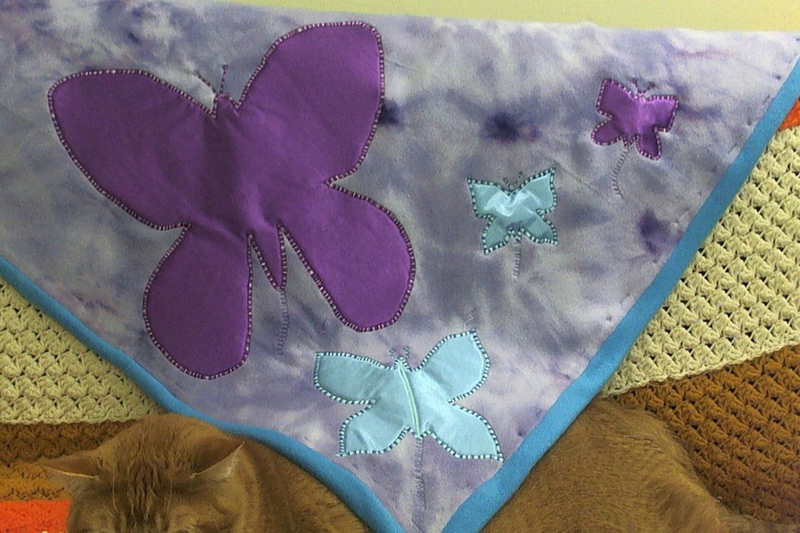 The theme was lilac and butterflies, so I picked up some lovely blizzard fleece and used leftover satin I had in my bin with some multicolor thread. 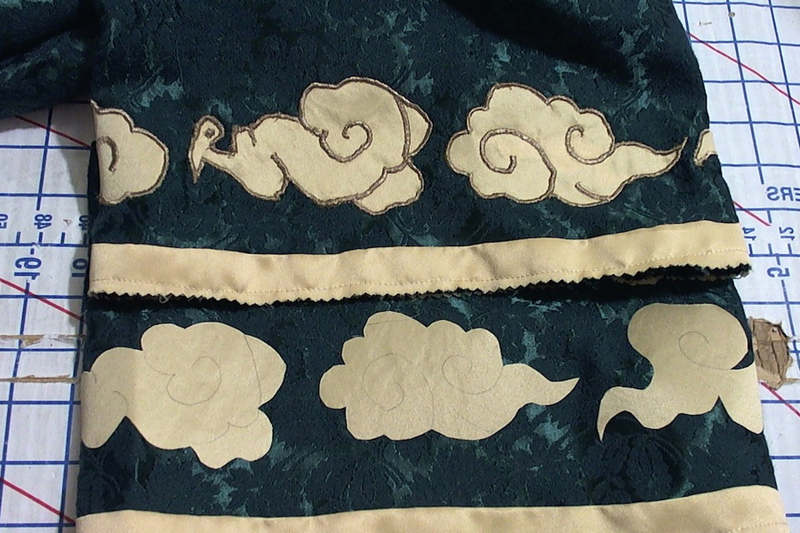 The entire project is pretty much satin stitching and appliqué. The thinner the fabric you choose, the more likely the fabric will come undone with thin stitching. The same can be said with the underside material. 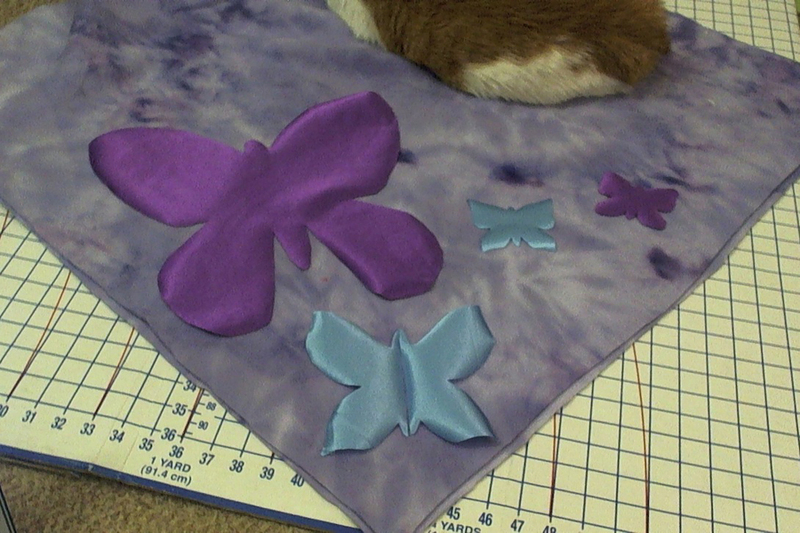 In this tutorial I am stitching satin to fleece. The fleece is a nice sturdy base, but I ensured the stitch was thick on the fabric to ensure it wouldn't fray as easily. But on Kirin? I was stitching Satin to Satin, and the fabric didn't like that after a while and I had to use excess stabilizer in order to keep it from bunching up. Rule of thumb: Always do tests on your fabrics with your thread and stabilizer to ensure you have exactly what you want before you start! Because seam ripping a satin stitch is easy, but repairing the holes your needles made in it is not. If you don't have a stockpile of posterboard for your cosplay, you should. These are great for making shapes and placing them on your final product to see if it fits or not. They're also super easy to trace so its great for that. 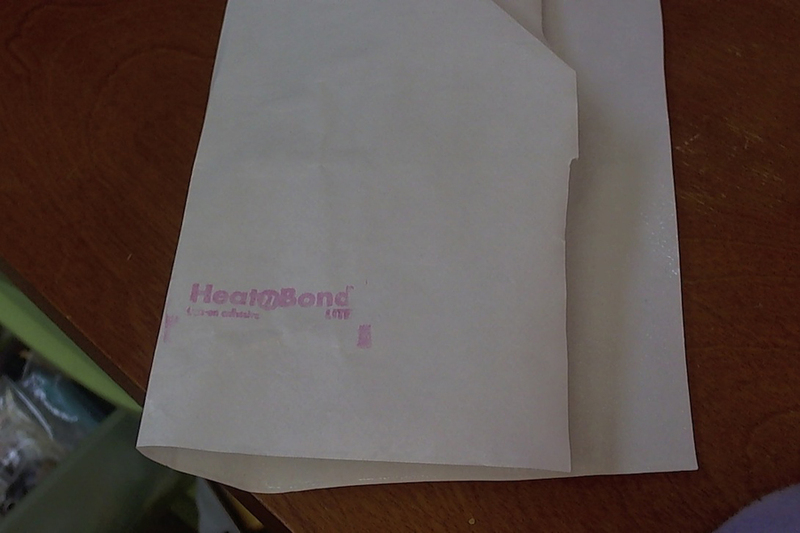 Take your patterns and trace them onto the paper side of your fusible web (like my Heat-n-Bond Lite). Warning: The paper side is the WRONG SIDE of your designs, so be sure that if your pattern has a specific left/right side to trace the mirror image. After you cut out the fusible web into your shapes, place them on the WRONG SIDE of your fabric and follow the directions on your web to iron them on. Once it's cooled you can follow the webbing to cut the fabric into the proper shape. This is a great time to double check on your final product where you want to place these. 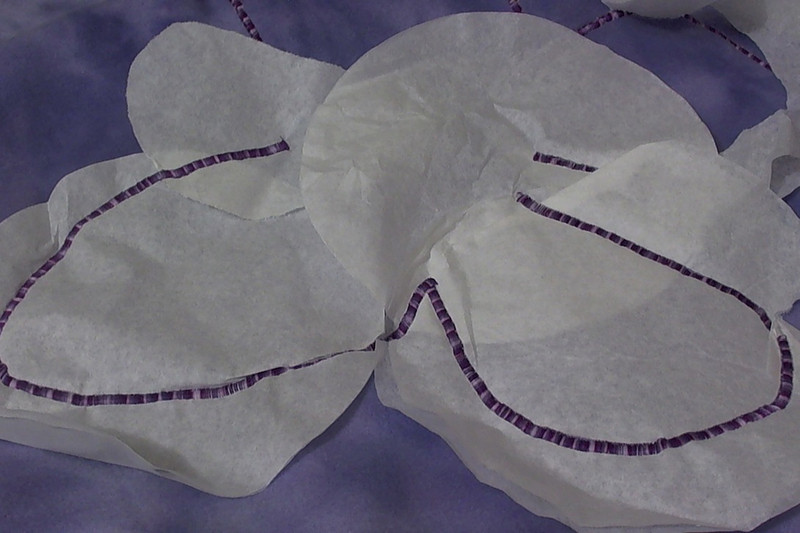 Peel the paper side of your shapes off and place them where you want them on your base. Again follow the directions on your web to iron them onto the base fabric. Warning: Lite fusible webbing can come free- but not very easily. So if you iron it onto the wrong place you could try to lift it off, but it wont be easy. Take your tear away and attach it to the back of your design so that it completely with excess around your design. You can attach this via pins or if it is a stick and tear design just stick it to the back. 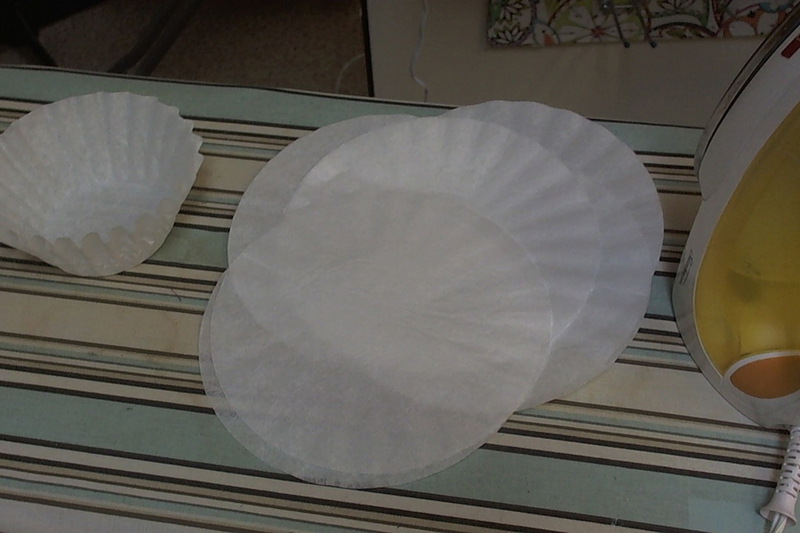 If you want to be cheap, you can buy a stack of cheap filters for $1 and use those. Their shape makes it a bit hard, so you can set your iron to wool heat with high steam and steam them flat. Two of these in a layer makes great stabilizer. Do you need stabilizer? No. But it'll make your work a lot harder. Stabilizer gives the teeth of your machine something easy to grab from the bottom to push your fabric nicely and evenly through your machine. It also adds support to the stitches from the bottom so that you don't get a jumbled mess of 'I hate you' from your machine. 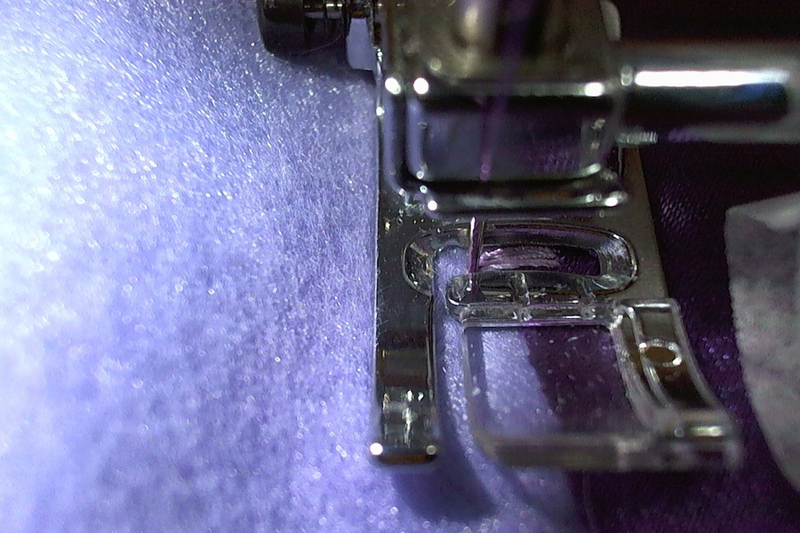 You'll want to set your machine to a zig zag stitch with a pretty decent width and a very low spacing. 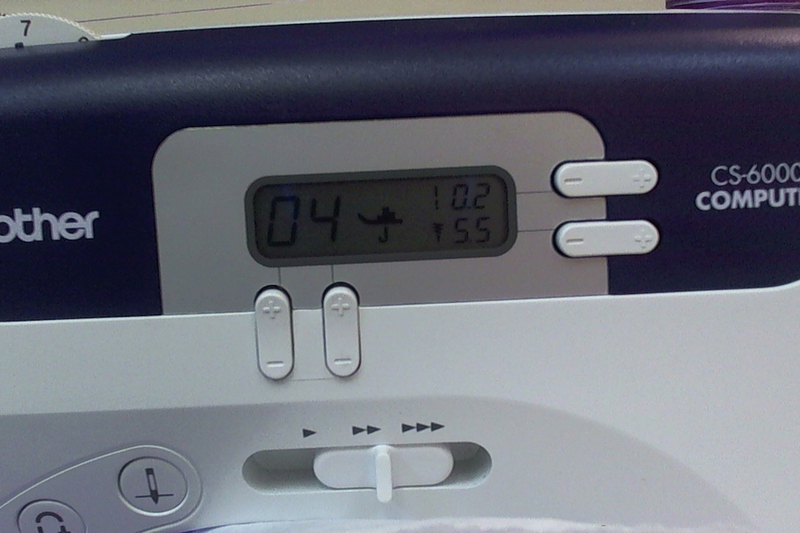 You don't want it set to 0 since your bottom teeth wont move it at all. Just enough to have the machine push it very tightly. This is why its important to do tests beforehand. If you're working with thinner or easily fraying fabrics I'd choose a wider stitch simply to give it more to stitch, but you can have fun with width settings. 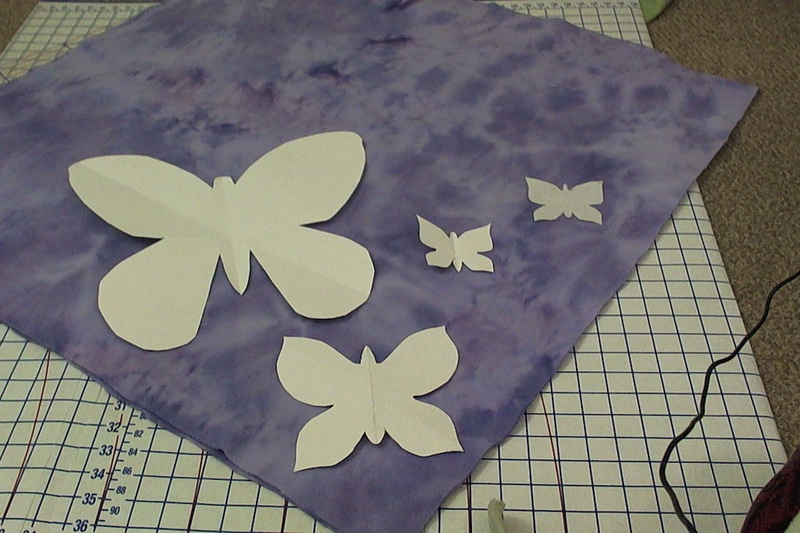 The butterflies on my design are all done with different widths to vary with their sizes, but I never went below a 4.0 width on my smaller butterflies. Make sure you have the right needle in place and check your tension as well. Your stitch tension should be higher than normal, but doing test runs is the only way for you to really know. Remember: Loops on the top means its too tight (so go lower #), and loops on the bottom means its not tight enough (so go higher #). I appliqued this project with a tension of 7. Set your fabric beneath the needle and choose a corner or nook. 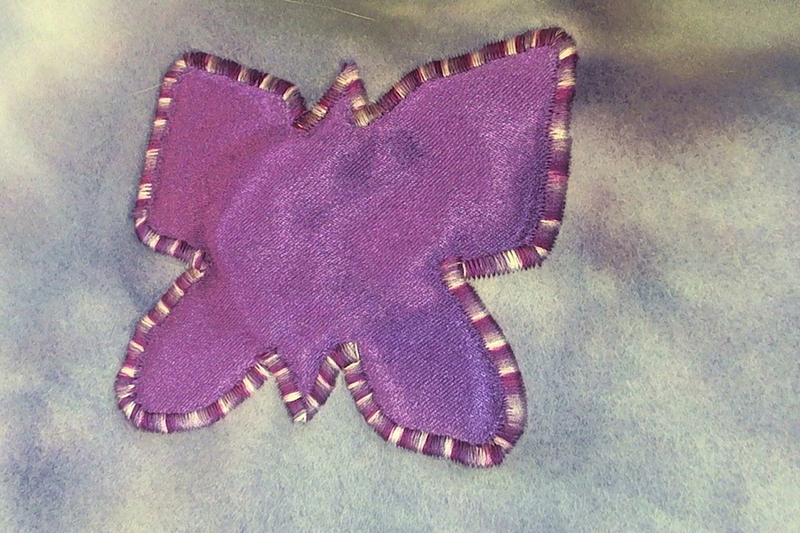 Make sure your stitching will eat up more of the applique fabric than the base fabric. You can keep the fabric in the middle and feel safe, but I like having it a little close. Always be sure to take your time with this step, especially around curves. It's also good when you hit corners to go to the very end, lift the foot to curve it and lift the needle to set it on the edge of the stitch and go down once more. 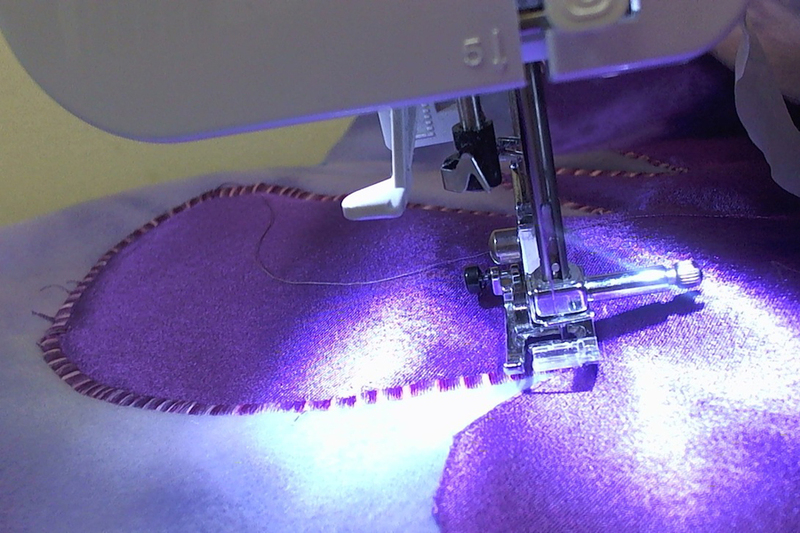 Practice is good with this step, so if you have time and materials make a lot of fake applique with corners, curves, and odd shapes to get used to guiding your machine and picking up your speed. Now that you're done sewing, tear away your tear away! Take your time and pull away the layer from the side to tear it away. Do not pull the paper straight up since it will disrupt your stitches. Remember how carefully you have to tear a page out of a notebook with a perforated seam? Same thing: Carefully and from the side. You've done it! You've now appliquéd something! That sucker is now fully attached and thats amazing, no? If you have any questions about this tutorial, be sure to bug me at or contact me on my Facebook or Tumblr accounts. Did you like and use this tutorial? If so, please consider putting a little change into the Ko-fi tip jar!